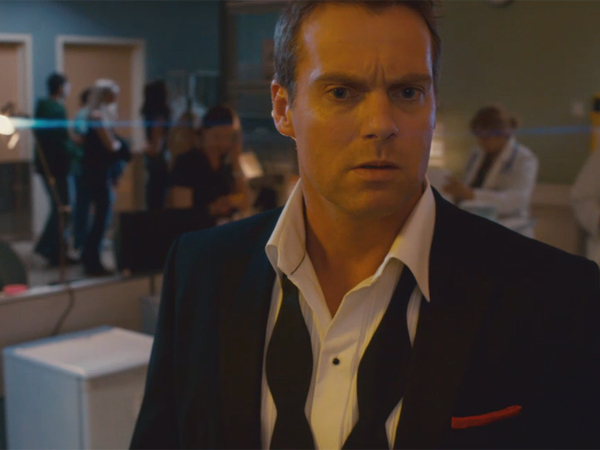 As Saving Hope heads toward the light, not a lot of people will mourn its passing, according to the ratings. It did so poorly this summer that NBC isn’t airing the final two episodes of the lone season. Viewers have had to watch online to find out if Charlie, a charismatic surgeon, wakes up from his coma. The finale goes online Sunday. Saving Hope is a kind of Dead Like Me meets Grey’s Anatomy — and those two show probably don’t have a ton of audience overlap. Major networks seem to want to downplay any supernatural elements to their shows, so even if you caught the commercials for this it’s possible you didn’t pick up on the reaper-esque qualities of the main character. The ads make it look like another hospital filled with beautiful people overcoming their own baggage in order to save lives. And it is that. But starting with the pilot (which you can watch here), you can see there’s a little more going on. A gorgeous couple (Erica Durance and Michael Shanks, both with Smallville and Stargate SG-1 credits) is making out in the back of a cab when they get into a crash. It’s clear it’s their wedding day, but not clear whether they’ve exchanged vows yet — unless you’re really paying attention (he’s not wearing a ring), which I must say I wasn’t on first viewing. But their marital status will figure hugely into the plot when the husband-to-be, Charlie incurs a head injury. Charlie demonstrates his heroism and medical skill, jamming a tampon applicator into the other driver’s collapsed lung to save her life. Minutes later, what seems like a superficial head wound catches up to him. Alex is at once loving wife and devoted doctor, shouting pertinent information to the medical staff and overseeing Charlie’s care as he slips into a coma. The pilot episode doesn’t focus entirely on the star couple, but instead branches into a few “case of the week” stories–a pregnant teenager, a girls who’s poisoned herself with a love potion, and a young war hero with a tumor in his arm. However, it does manage to pack in a lot of meaningful information about Charlie and Alex, some of it requiring several more episodes to manifest its significance. In fact, even the arm tumor story has reverberations many weeks later. We pretty much only see these characters in their work sphere and hear few personal details. Alex tosses off the remark, “His parents are both dead,” with regard to Charlie — but this fact will actually become really, really important later. And there’s just a shade of public service announcement about how doctors should learn to view their patients as individuals instead of just case numbers. About 20 minutes in, we get introduced to the supernatural element of the show. Call it Comatose Like Me. Call it hokey. Call it kinda cool and intriguing. Whatever you call it, you only get 13 episodes of it. This entry was posted in 2010s, Dramas and tagged cancelled shows, coma, dead like me, doctors, Erica Durance, hospital, Michael Shanks, saving hope, supernatural by meekthegeek. Bookmark the permalink. I actually really enjoyed this series. I’m sorry to see it go.